Woeber's 20 oz. 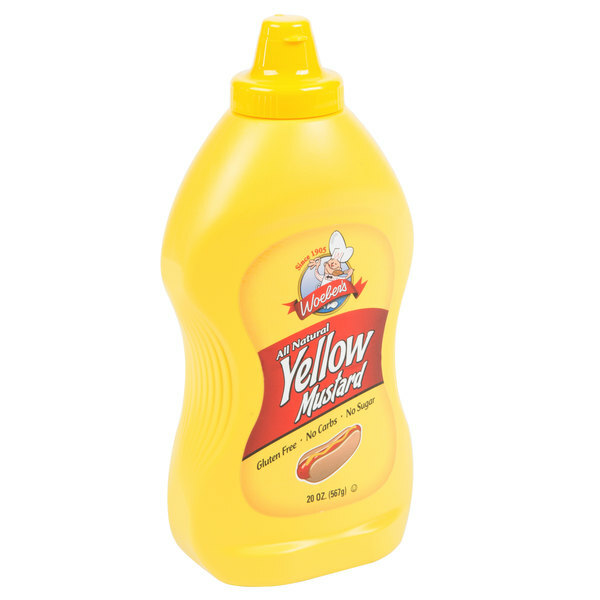 salad style mustard is perfect for hot dogs and hamburgers! This blend has a classic appearance and smooth texture. In addition to the mustard seeds, this mustard features turmeric to give it the bright yellow color it's known for. This salad style yellow mustard has a traditional taste that your customers know and love. Try it on soft pretzels, or with salad dressings and sauces. It will instantly add flavor to your sandwiches, deli meats, and even hors d'oeuvres. Perfect for any occasion, the zesty taste is sure to please! One of the most popular condiments, this yellow mustard will add just the right amount of bold flavor to your entrees and snacks. Not only does this American-made Woeber's mustard taste great, but the convenient 20 oz. 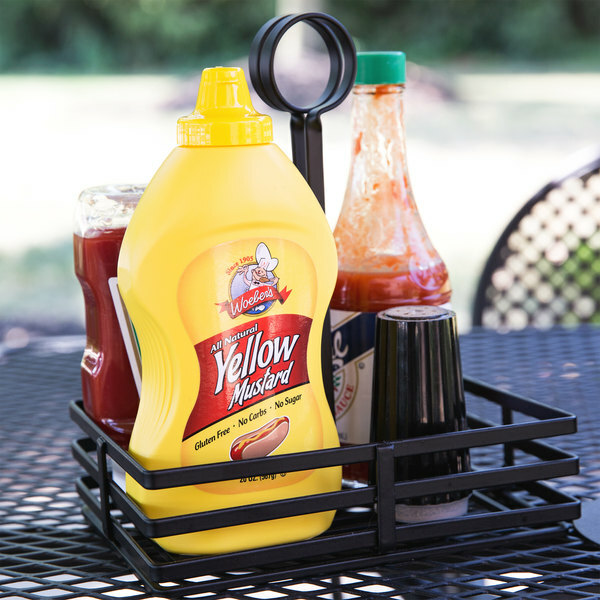 squeeze bottle is the perfect size for placing on table tops so guests can easily serve themselves. 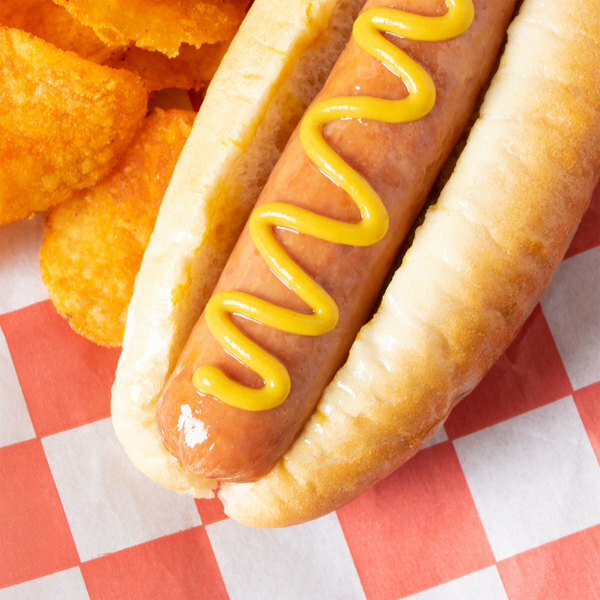 Since yellow mustard is a must-have, it's good to stock up for your sandwich shop, restaurant, catered event, concession stand, or deli. Awesome, tasty mustard! Having been a mustard lover all my life I'm always on the lookout. This mustard is the best I have ever had! I have at least six other varieties handy, and this one is always empty first. I use it a lot to make honey mustard, hot dogs and hamburgers. It has a nice color, pasty texture and a nice spicy flavor. I recommend it 100%. The Woeber's 20 oz. Salad Style Mustard is a great tasting mustard that is inexpensive. It is comparable to brands such as French's. It is great as a topping for hot dogs and burgers. 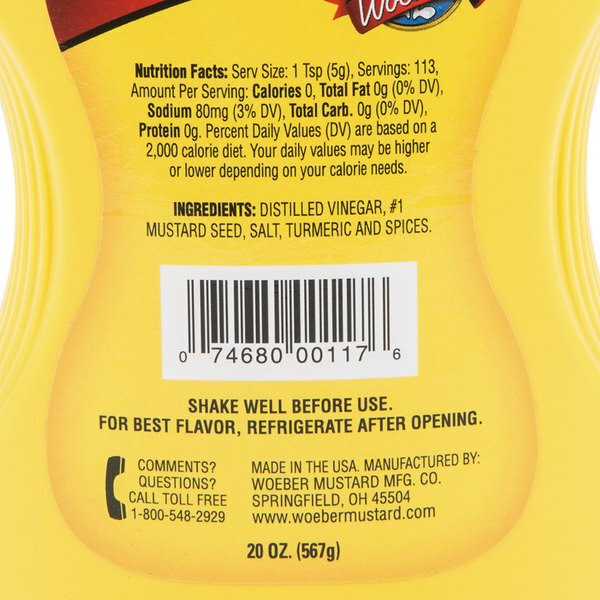 The Woeber's salad style mustard is a great buy at less than one dollar per bottle. The flavor is extraordinary and the squeeze bottle is perfect. 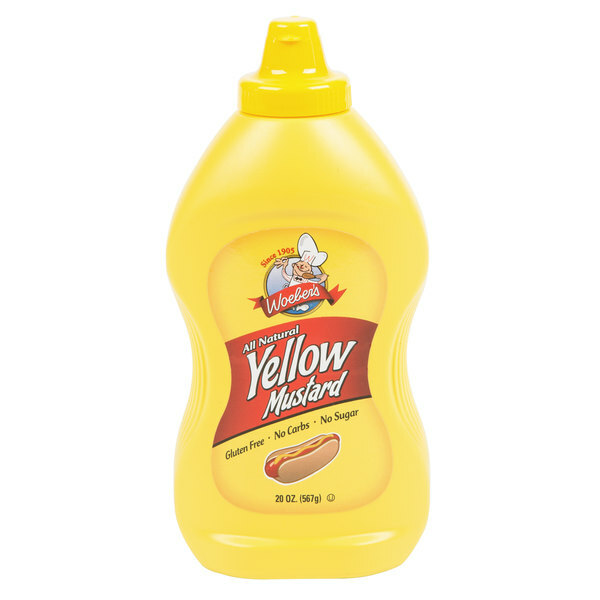 A nice off brand salad style mustard that tastes great. 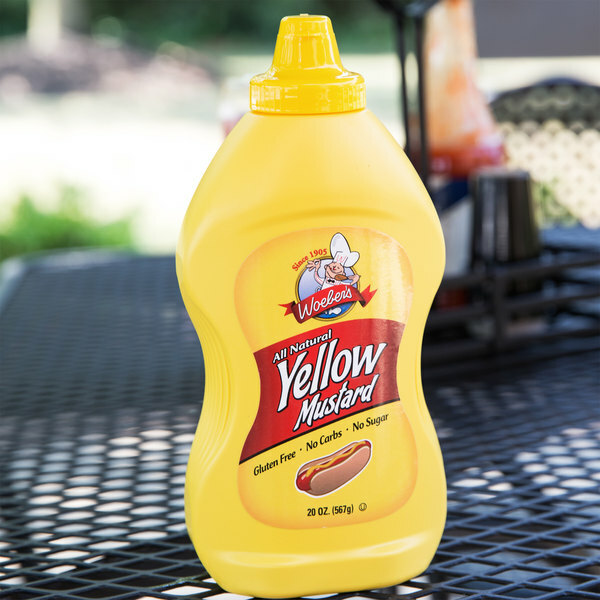 The perfect mustard for topping hot dogs and burgers. It works great to set on every table. 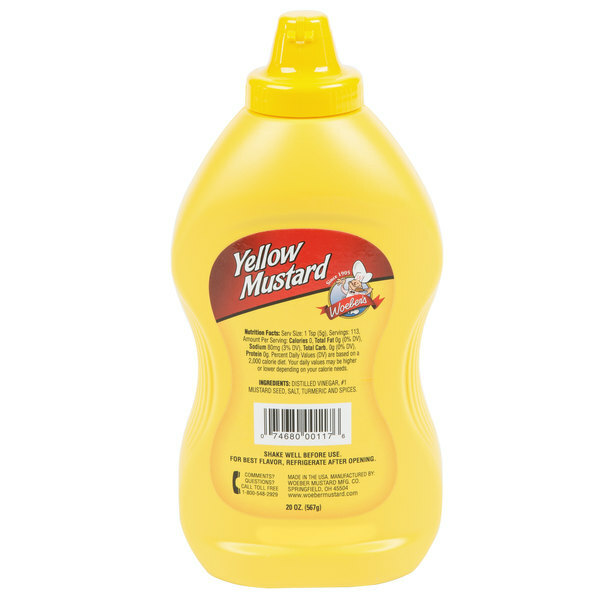 Great mustard for great price! Quality is amazing, great creamy texture, full flavor, rich color! All what you would expect from great mustard but for less money!